Details about all Fond du Lac Public Library events are found at the Calendar. All programs are free. Most do not require registration. Children under age 8 must have an adult with them at all times. Letters to Santa: Through December 4. Kids who drop their letters to Santa off at the special mailbox in the Children’s Room will get Santa’s personal reply mailed to their homes before Christmas. Form letters available. In cooperation with FDL School District Recreation Dept. Evening Storytime: 5:30 p.m. Tuesdays. All ages. A fun, 30-minute romp with lots of songs, engaging books and more. Toddler Storytime: 9:30 a.m. Tuesday, Wednesday and Thursday. Ages 2 and younger. Twenty minutes of Storytime followed by 20 minutes of play. Preschool Storytime: 10:30 a.m. Tuesdays and Wednesdays. Ages 3-5. Thirty minutes of fun books, songs and more. Half-Day Party: 1-3:30 p.m. Friday, November 2. For kids in grades K-8 and their families. Half day at school? Hang out with us. Play bingo and watch “Coco” (PG). With snacks. No registration. Family Lego Night: 6-7:30 p.m. Thursday, November 8. All ages. Drop in to play with regular Legos and Duplos for younger siblings. No registration. Stop Motion in the Idea Studio: 6-7 p.m. Thursday, November 15. For kids ages 8-12. Learn the art of stop motion and create an awesome video short. Registration is required and begins at 9 a.m. Thursday, November 1, online at fdlpl.org, click Calendar; by calling (920) 322-3940; or in person at the Children’s Desk. Giant Twister: 10-11 a.m. Saturday, November 24. 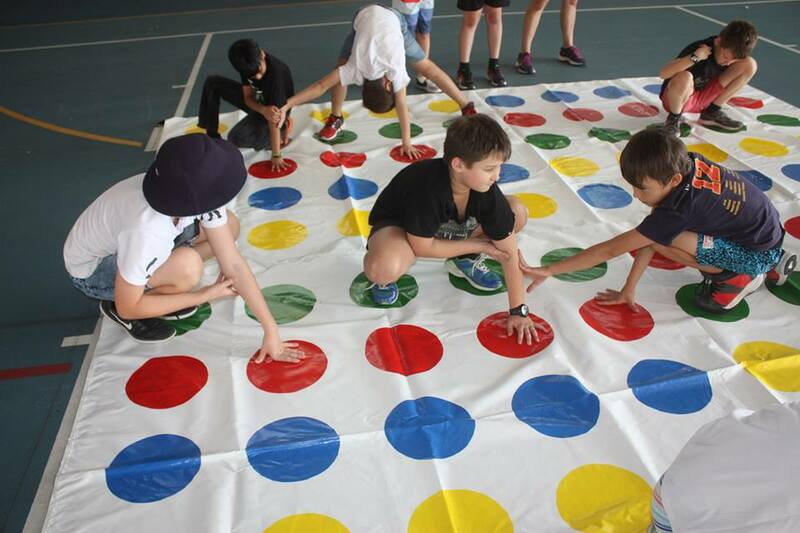 Take a break from holiday go-go-go and play a round of Giant Twister. Just drop in. Free. Teen Lock-In: 6-10 p.m. Friday, November 9. Take over the closed library and play Minute to Win It games, watch “Avengers: Infinity War” (PG-13), take a haunted library tour, bake cookies and scarf down pizza. Space strictly limited. Registration is required in person at the Children’s Desk by the teen and a parent or guardian. Smart Cookies: 1-3 p.m. Sunday, November 18. Bake two recipes from scratch: chocolate sandwich cookies and snowballs (contains nuts). Supplies provided. Free. Registration is required and begins at 9 a.m. Thursday, November 1, online at fdlpl.org, click Calendar; by calling (920) 322-3940; or in person at the Children’s Desk.